Mont Blanc is visible from just about everywhere in Geneva: the name of the highest mountain in the Alps means “white mountain” and it rises 4,808.73 meters above sea level. Well, as far as geologists can tell, anyway. You see, its summit comprises a thick dome of snow and ice, which makes exact measurements not only difficult, but also different depending on what time of year – and what year – the measurements are taken. 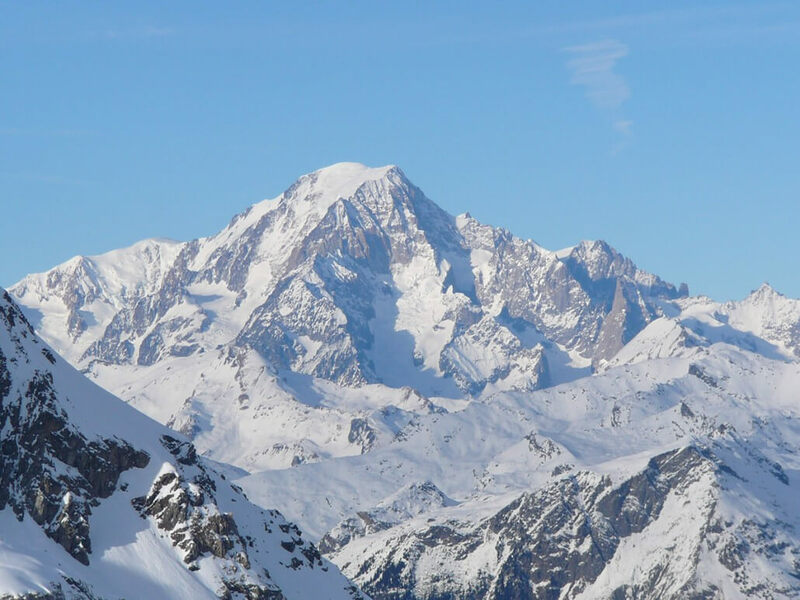 This is why Montblanc added “4810,” the approximate height of Mont Blanc in meters, to its logo early on in its history. And 4810 is also the name of a new themed collection making its debut at the 2016 edition of the SIHH. I have to get this out of the way: the celebratory 110-year collection contains not just one pocket watch, but two! First and foremost the eight-piece 4810 Villeret Tourbillon Cylindrique Pocket Watch 110 Years Edition. Let me be really clear here, too: this is not just any old pocket watch; this is a very heavy, extremely complicated, and finely finished collector’s timepiece. And before I get into the details of this pocket watch for real connoisseurs, let me just say right up front that I find introducing this type of watch in the current financial environment a courageous thing to do: at a time when most luxury watch brands are banking on stainless steel and relative simplicity thanks to dwindling market results, Montblanc bets on its well-crafted objects’ wealth of plurality. This complex pocket watch is nothing if not supremely decorated – and for Lambert its cylindrical spring is reminiscent of marine chronometers of yore, though with its hand-engraving, hand-painted domes, grand feu enamel dial, and decorative aventurine slices surrounding the tourbillon cutaway, it is unlikely to actually ever be used on a ship. 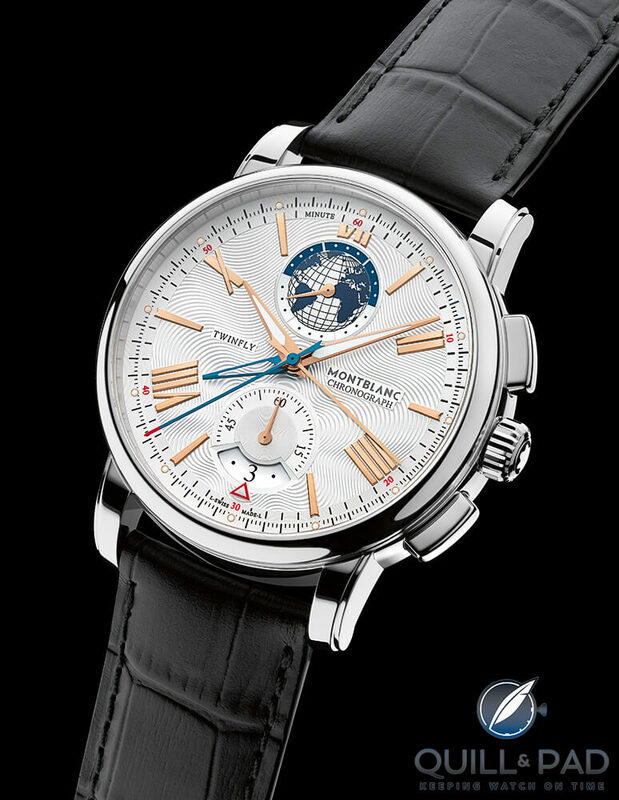 Last year’s well-priced Heritage Spirit Orbis Terrarum was a surprising hit, even making it to the finals of the Petite Aiguille category of the Grand Prix d’Horlogerie de Genève, where it eventually bowed to Habring2’s Felix (see Quill & Pad’s Predictions For The Petite Aiguille Category Of The 2015 Grand Prix d’Horlogerie de Genève). Now this concept takes another unexpected step: it has been added to a pocket watch, the 4810 Orbis Terrarum Pocket Watch 110 Years Edition. Lambert wastes no time in telling me that a pocket watch expresses eternal, timeless beauty to him. This is a timepiece that is not subjected to the time in which it was made. 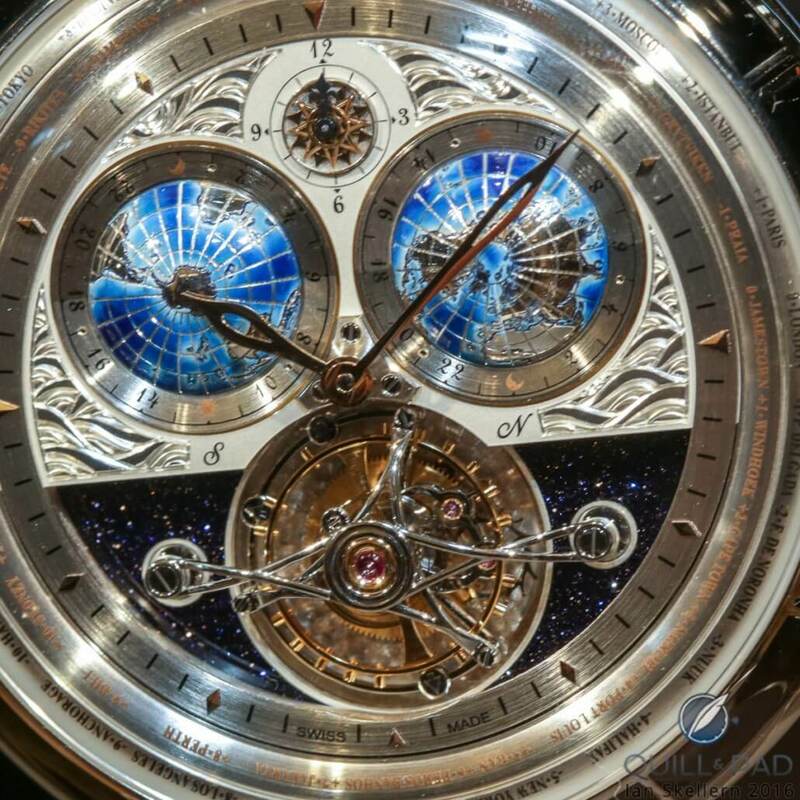 “There is also more plurality in fine watchmaking today than ever before. 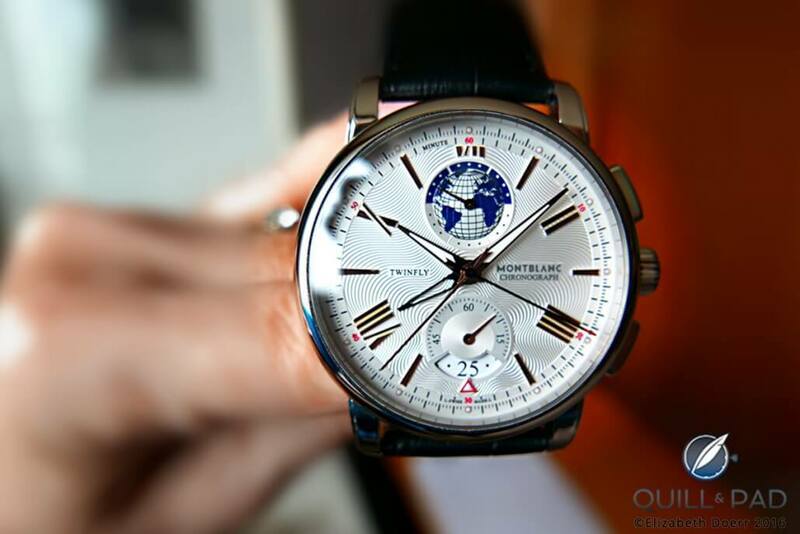 It is important for a maison like Montblanc to offer a high variety of timepieces,” he explains. This watch, too, has a slightly maritime theme about it: it honors Blue Riband passenger liners and transatlantic travel. The case back design of the Lépine-style pocket watch features a stamped rendition of the SS Deutschland from the Hamburg America Line. New York City is highlighted among the 24 cities on the world time display. While that is no big surprise as the choice for the east coast of the United States’ time zone, the GMT choice of Southampton (instead of London) and GMT +1 of Hamburg (instead of Berlin or Paris) is slightly surprising. These choices were made because these three were ports from which and to which Blue Riband liners sailed. The theme continues with the outstanding 4810 ExoTourbillon Slim in the 110 Years Edition. You rarely hear of hand-painted miniature dials coming from Germany, but the 4810 ExoTourbillon Slim 110 Years Edition boasts just such a scarce thing. It takes an artisan at home in the Hamburg factory – a location generally reserved for the manufacture of writing instruments, while the watches are made in the brand’s Swiss factories – a full week to paint one of the miniature dials representing North America, Europe, or Asia. “One week to paint just one dial . . . ” Lambert thoughtfully repeats, allowing the visual image to sink in for just a moment before we resume talking about the stunning redesign of a watch that has already become a Montblanc classic. And that in the short of amount of time that Lambert has been CEO of the writing instrument icon, which is two years and change as of this writing. Aside from the stunning visual of this dial above the mechanical beauty of Montblanc’s ExoTourbillon at 6 o’clock, it should be noted that the Montblanc Caliber MB 29.24 has been fully reworked to accommodate new dimensions, making it slimmer and more elegant. The target, in fact, was for this to become a thinner automatic watch with better precision. This was chiefly achieved by exchanging the full-sized rotor for a micro rotor running on two ultra-velocity ball bearings, which are, needless to say, highly efficient – though that description makes it seem like this is an easy feat, which it decidedly is not. While a normal, full-sized rotor assembly is added to the outside of a movement (take it away and it becomes a manual movement), a micro rotor involves fully redesigning the base plate as it fits inside a neat little cranny there. This is why it makes it thinner. Additionally, the 9.7 mm balance wheel (bigger wheel = bigger inertia as well as improved stability and isochronism) with 18 screws (14 fixed and 4 in gold) positioned between the Incabloc shock protection and the flying tourbillon cage is a construct that gains space – and the single ball bearing used in place of a jewel here also reduces height. The energy distribution of the movement has also improved. For one, the high-performance spring barrel and the gear train have been redesigned and optimized for optimal energy supply and power delivery. 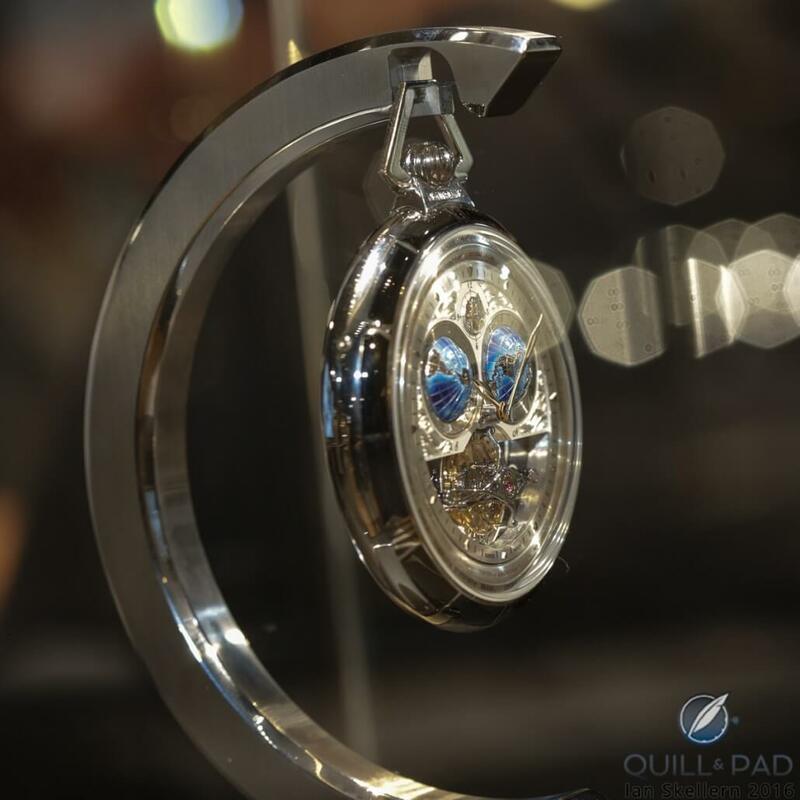 Additionally, the lighter titanium tourbillon cage requires 30 percent less energy. The 4810 TwinFly Chronograph 110 Years Edition boasts one of my favorite elements of this new collection: a stamped guilloche pattern resembling contour lines around the stylized Montblanc snowy peak, though the brand does call this the “exploding star.” Although this subtle form of decoration will likely be totally glossed over by most people, I loved it immediately. Added to that are Art Deco-style indexes, an element that characterizes whole 4810 collection. Something else you might miss the first time around is that there are no chronograph totalizers on the dial. These are actually all wrapped up in the blued sweep hands emanating from the center (elapsed seconds and minutes; there is no hour totalizer). The display at 6 o’clock indicates the running seconds and the date. Finally, this new version of the TwinFly boasts a new case shape, which has a longer distance between the lugs, creating an open look that is enhanced by the near lack of a bezel. The “travel” theme is continued in the decorative globe that doubles as the second time zone indication. And with that, my relaxed talk with the energetic Lambert came to a close, to certainly be continued.